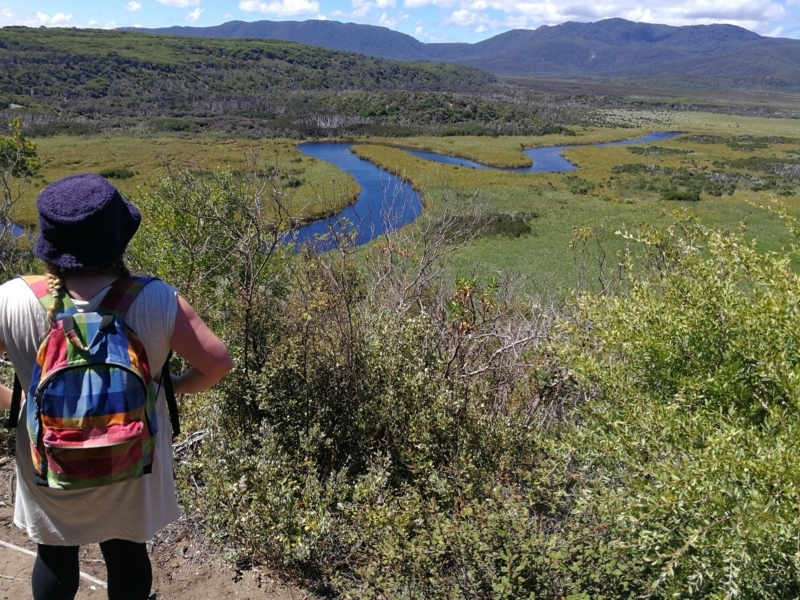 A spectacular half-day walk with truly special views of Darby River and the Marine Park. You'll descend to the secluded, magical Fairy Cove for an optional dip! A 6km round-trip. 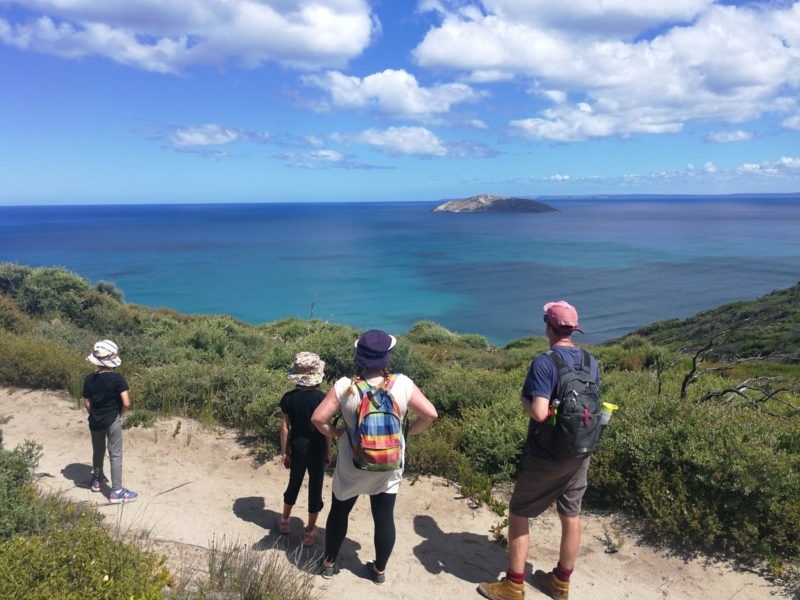 An easy half-day walk for lovers of the gorgeous Wilson's Promontory. 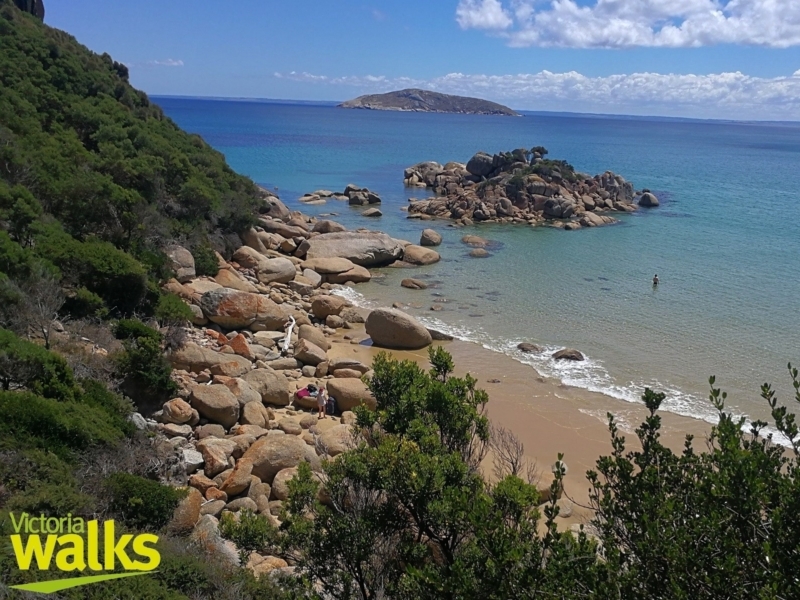 Beginning just inland of Darby beach, walk through coastal vegetation then descend to the secluded, magical Fairy Cove for a dip among the rocks! A 6km round-trip with some steep parts. 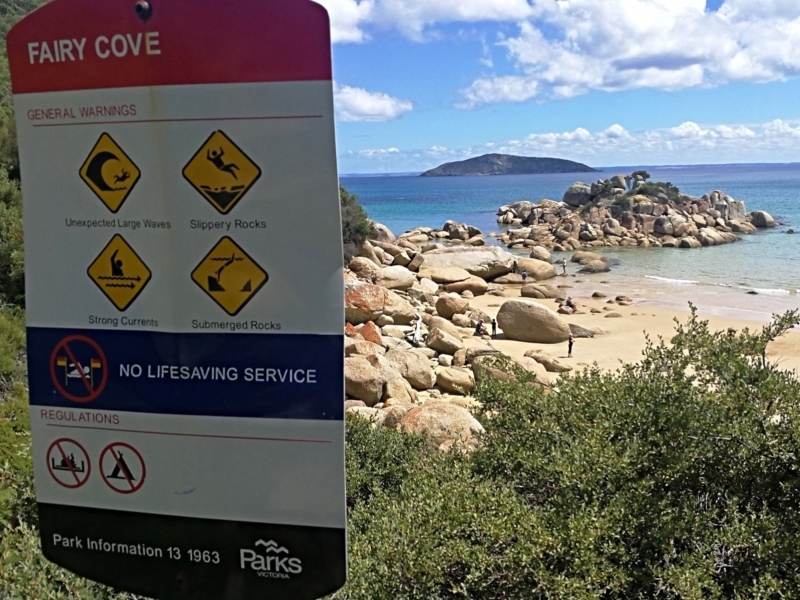 Many regular visitors to the Prom never do Fairy Cove because it requires a drive to Darby River (12km from the Tidal River information centre). If driving, park at the Darby River (closer to walk) or Darby Saddle carparks. This walk is quite achievable for children - not to mention rewarding. More advanced walkers may want to trek further to Tongue Point (map 18 on the Prom's 'day trips' brochure. Be sure not to arrive close to high-tide when swimming may not be possible or advisable (it's a tiny beach). 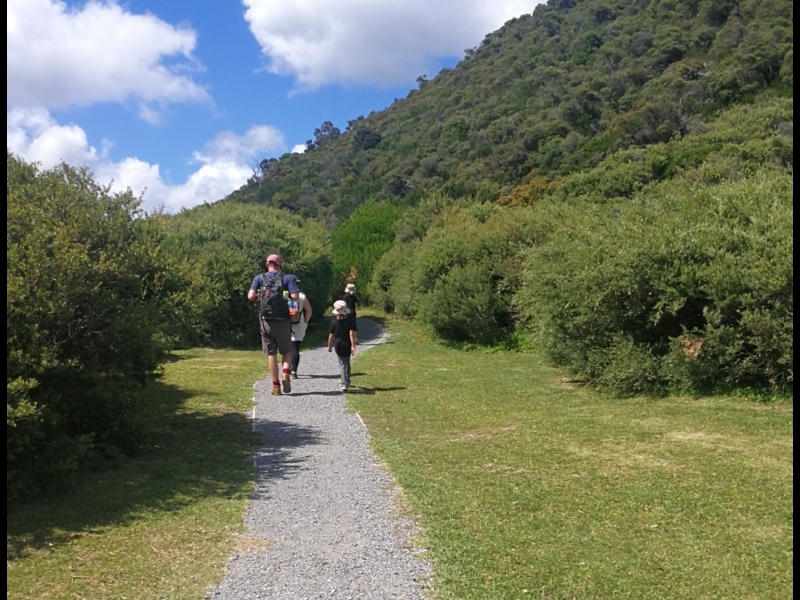 Beginning from the Derby River car park (note: further north than the Darby Saddle car park), follow the signs to Tongue Point but at the 2.4km mark, take the sign-posted path another 400m or so down to Fairy Cove. 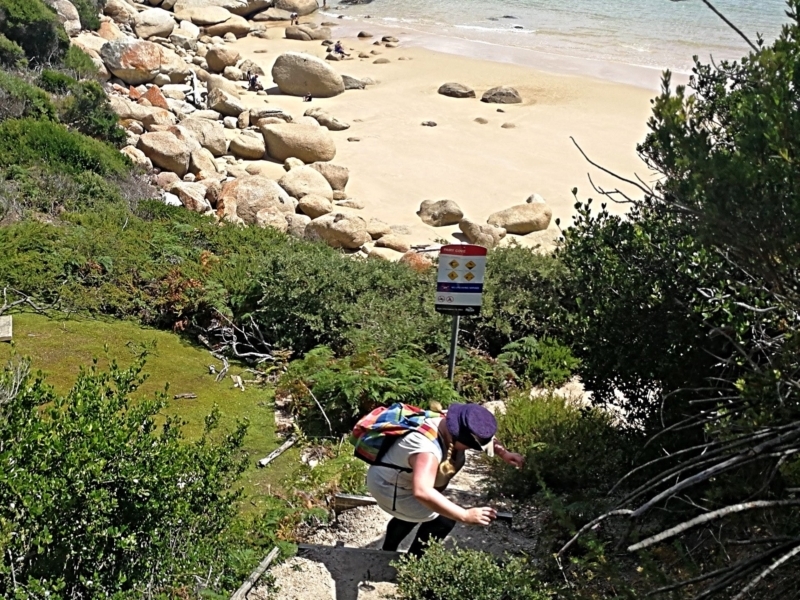 This walk took our group (adults and children aged seven and nine) about 1 hour each way - with another hour spent swimming in and around the granite boulders and soaking up the white sands and turquoise waters of Victoria's most beautiful patch of coastline. 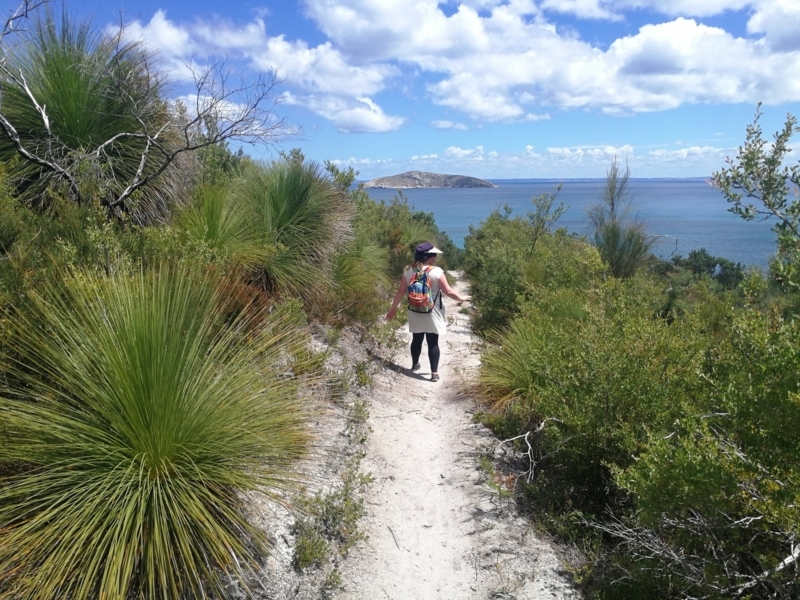 Be aware the walk contains some very steep parts down and up from the cove, however it is well worth the effort because of the spectacular and unspoilt views afforded. Fairy Cove is a treat for first-timers to Wilson's Promotory, or for regular Prom-goers. Find the track from the Darby River car park. You'll get a unique appreciation for how the river snakes through the national park from the track to Fairy Cove. 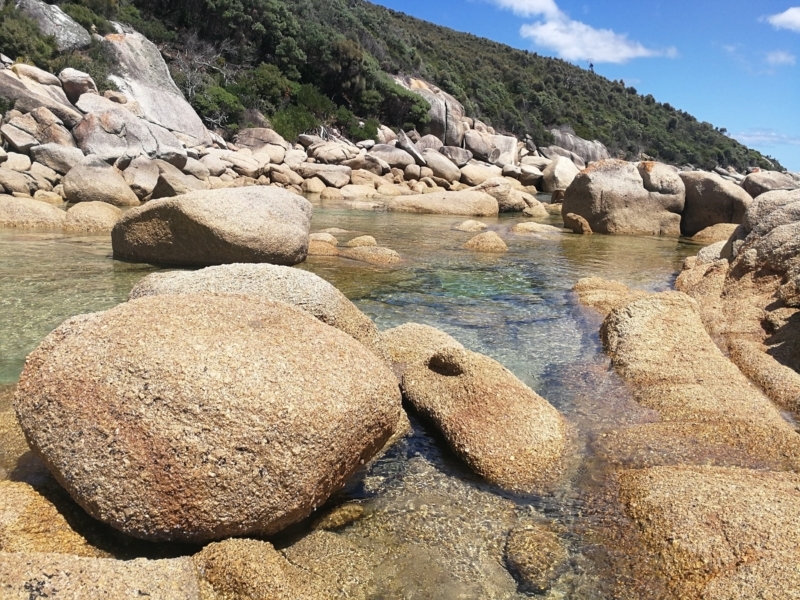 Don't bother putting your camera away, you'll want to take plenty of snaps of the view over the waters of Bass Strait, and the Wilson's Promontory Marine Park. An immersive experience! 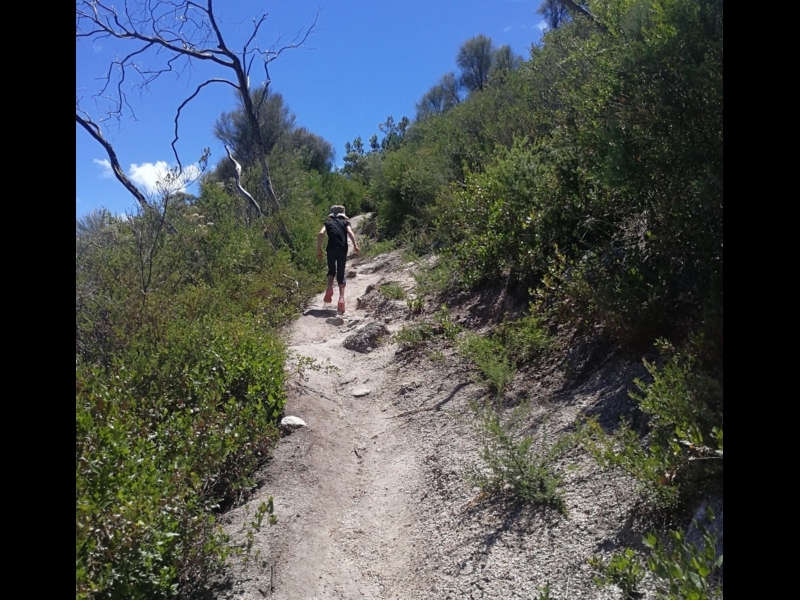 For more information about the vegetation to be found here see the Vic Flora link below. From the main path you'll see a track heading down towards the beach and water. Turn here. Take care, these steps are very steep! You may be blessed with calm waters and a nice, sunny day but take care at other times. The beach may be inaccessible at high-tide. More info at link. Hopefully you've bought some bathers! This must be one of Victoria's most beautiful swimming spots. 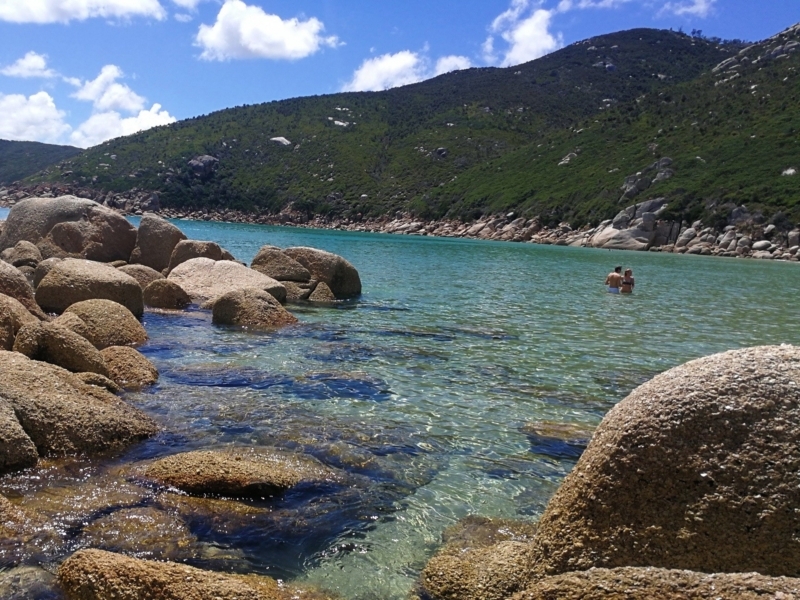 At low to mid-tide this is a great place to explore shallow, crystal clear waters and to scramble over granite rocks - but do take care! Take care walking back up from the beach to the main track, but little legs should manage!